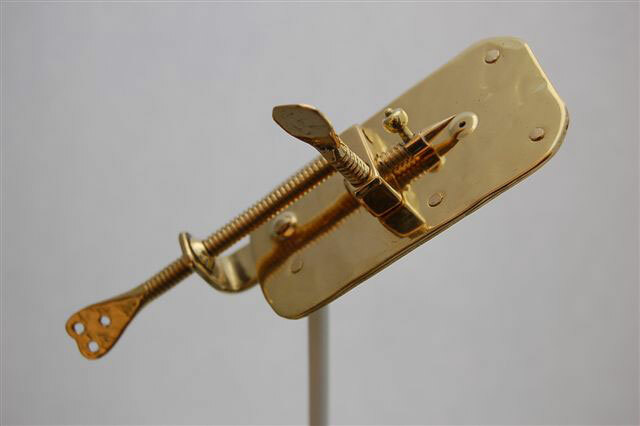 Leeuwenhoek’s single lens microscopes are probably one of the most well-recognised of historical microscopes. 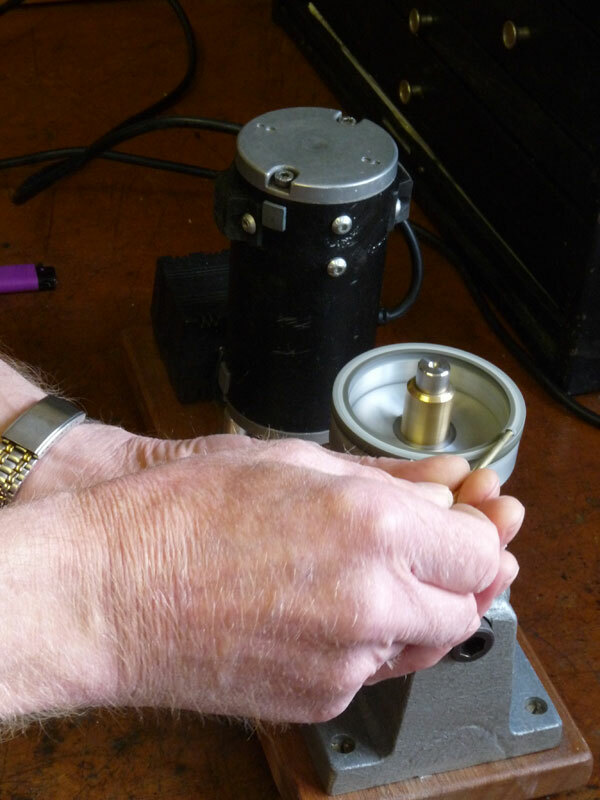 Over the years, several individuals, and occasionally companies, have made replicas of these iconic microscopes, to varying degrees of quality and accuracy. Very rarely, however, are these replicas available for sale to collectors and historians of the microscope. 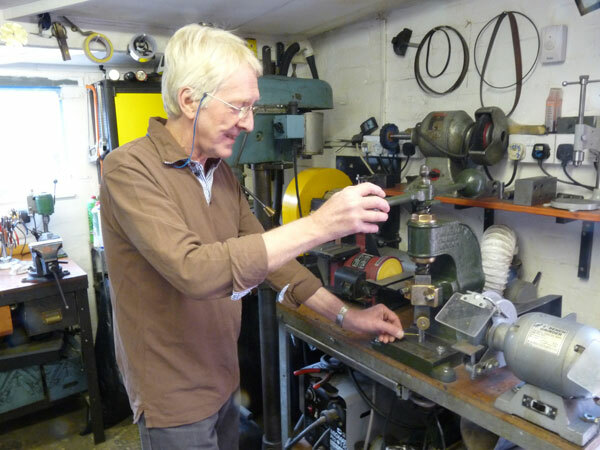 Recently, Chris Kirby, a retired engineer and amateur instrument maker in Hertfordshire, UK, has started making high quality reproductions available for sale. 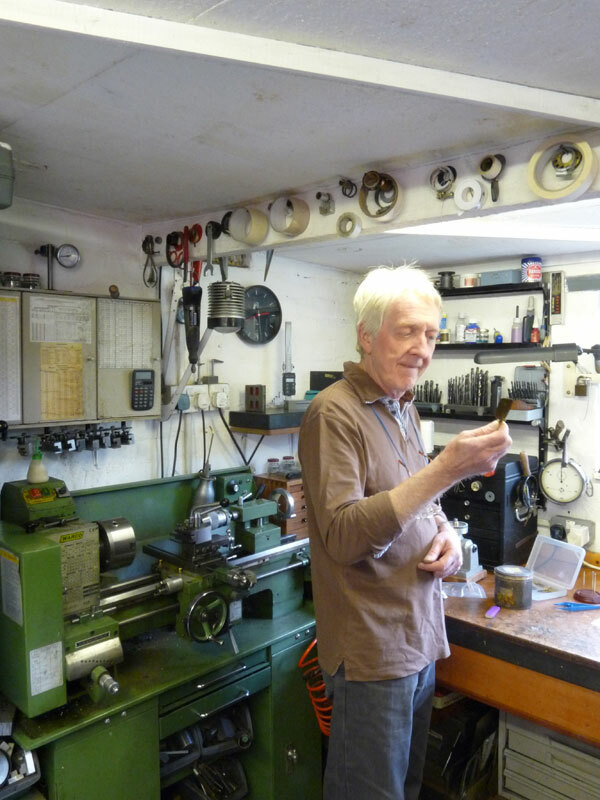 I visited Chris in his workshop to see how these superb little microscopes are made. 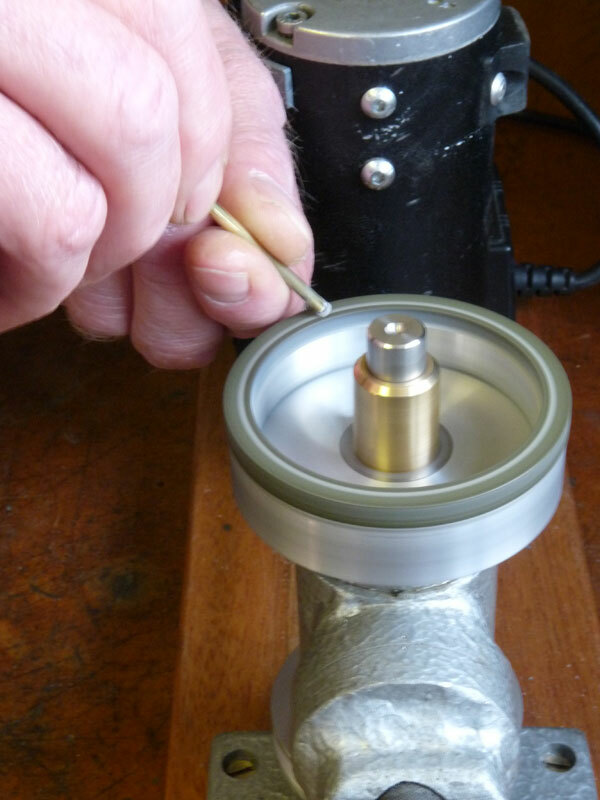 Chris has only recently been inspired by the microscope and started experimenting in his home workshop with making the replica microscopes in January 2010. His replicas are all hand made, largely using machinery built by Chris. He first makes the lens by cutting a disc of glass from glass sheet and uses a grinding wheel to shape a convex lens of approximately ×100 magnification. 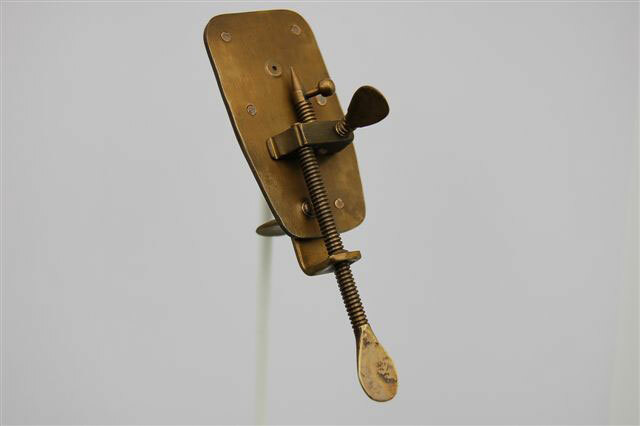 The two brass plates which form the body of the microscope are cut on a template, the dimple for the lens pressed using a home-made press, and the two plates riveted together using hand-made brass rivets. 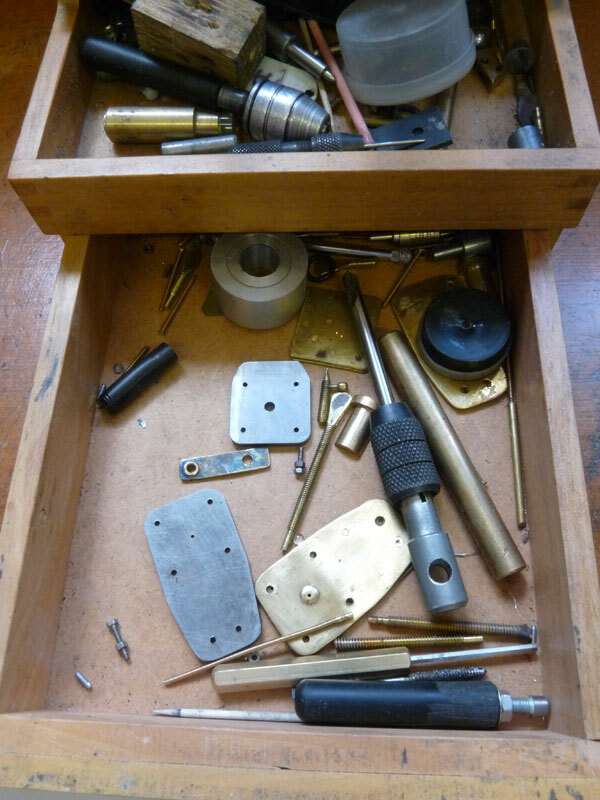 The specimen screws are cut from brass rod and threaded; the main screw can have a pierced or solid handle, which is stamped from the rod using a Victorian press. Finally the brass parts are either polished (for a shiny final finish) or ‘patinated’ in ammonia fumes for an aged finish and then wax-treated to prevent tarnishing of the brass. Chris supplies his microscopes in satin-lined leather pouches which again Chris makes himself. 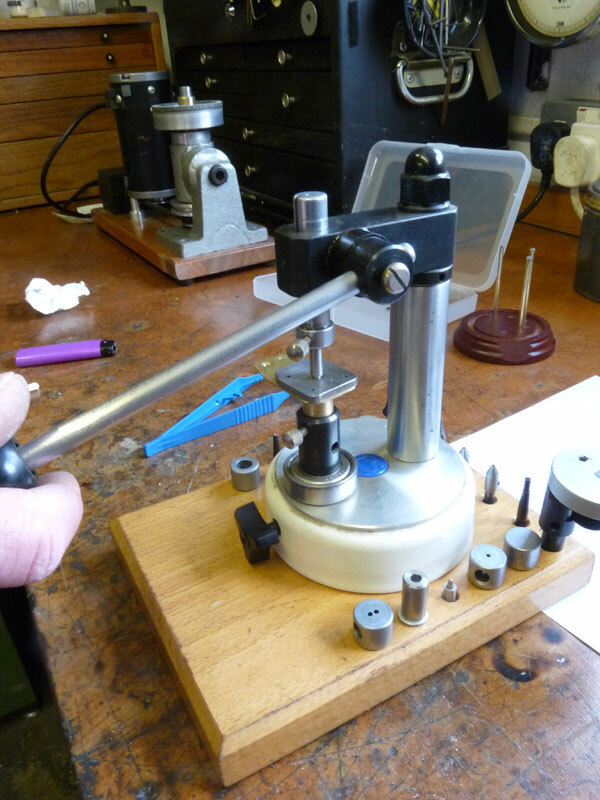 Chris sells his standard models for £135 plus postage and is willing to experiment with higher power lenses and possibly silver versions to replicate the silver microscopes that Leeuwenhoek sent to the Royal Society in London, and were subsequently lost. 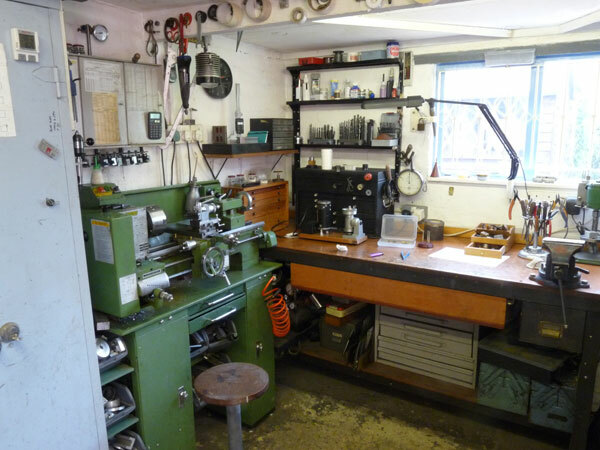 Chris also has full workshop facilities at home and will consider machining projects for microscopists. NOTE: Chris has stopped making these microscopes.